This year we have been entered into the Brighton & Hove Food & Drink Festival Awards 2013. Brighton & Hove Food & Drink Festival are asking you to nominate your favourite food businesses via their website between now and the end of May 2013. The top three businesses in each of the categories of the public nominations, will then be visited and assessed by their panel of experts taken from a cross-section of Brighton & Hove’s business community and local media. 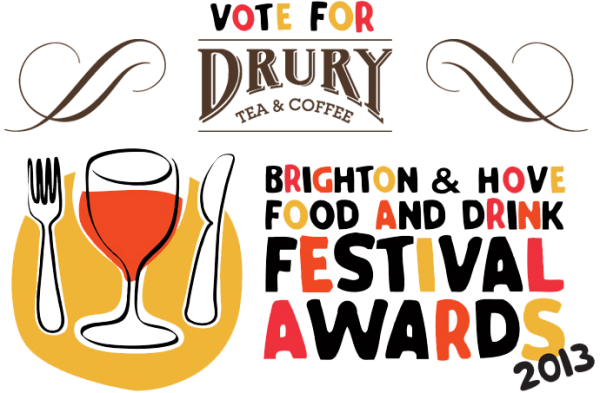 If you think Drury Tea & Coffee are worth a nomination for Best Brighton & Hove Café then please do us a huge favour by nominating us. It’s super easy just click here or the picture below then fill out the form and enter Drury Tea & Coffee as your nomination for Best Brighton & Hove Café. It will take less than a minute and it will make us eternally grateful! Posted March 21st, 2013 in Cafe News. Tagged: Cafe Awards, cafe hove. Red Nose Day at Drury! Celebrating in style in our onesies! Today Drury staff donned their finest all-in-one sleepwear to mark the 25th anniversary of Red Nose Day and to raise funds for this great cause. 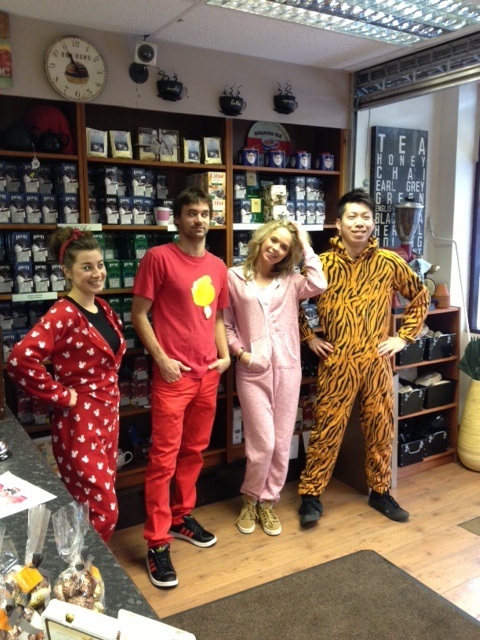 If customers wore their onesies they could join in the fun AND donate to charity – £1 of the price of their coffee would go straight into the red tea pot. Thank you to everyone for getting involved and making the day such a great success! Posted March 15th, 2013 in Cafe News. 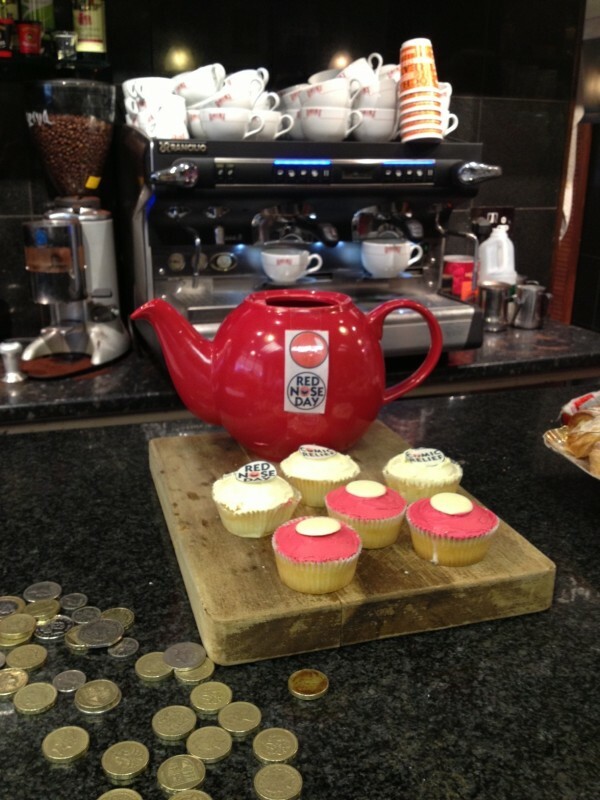 Tagged: Cofee Shop Charity, Red Nose Day.